Splunk turns machine data into answers. 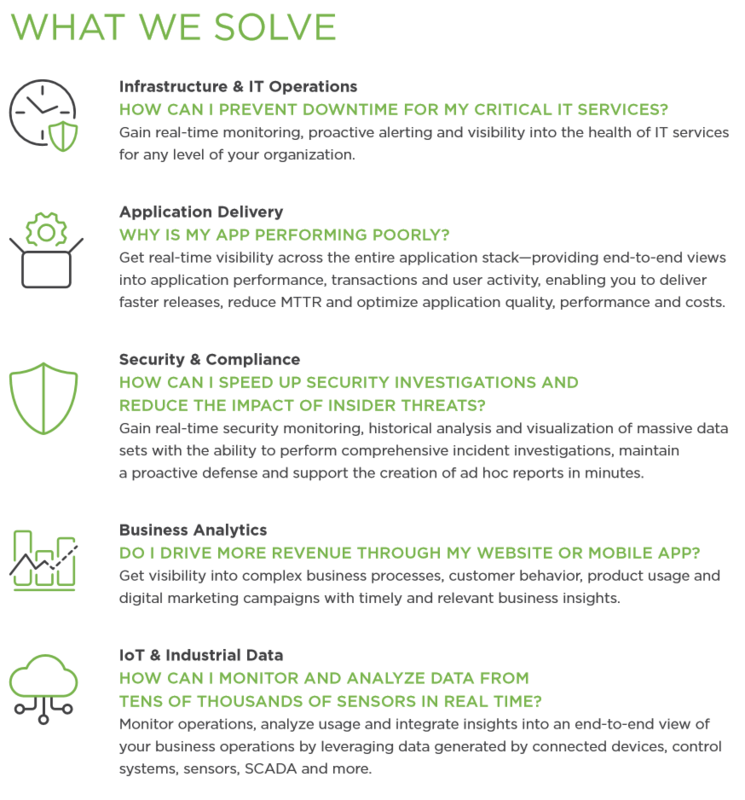 Regardless of your organization’s size and industry, Splunk can give you the answers you need to solve your toughest IT, security and business challenges—with the option to deploy on-premises, in the cloud or via a hybrid approach. You need to be able to get insights from all of your data, so Splunk has a robust ecosystem of partners to ensure you can access and get value from the data generated by your existing technologies. We’ve integrated artificial intelligence across the Splunk platform and our premium solutions to help you automatically detect anomalies, predict future outcomes and sift through noise so that you can focus on what’s most important. When working with Splunk, you can trust your data is private and secure. Security is a key part of our product design and development. We train all Splunkers on secure data handling and comply with international and industry standards. 50x the rate of traditional business data. And it contains valuable insights, if you’re able to make sense of it. That’s where Splunk comes in! Differentia Consulting provides #SmarterBI solutions offering full life cycle services and complementary business discovery solutions.